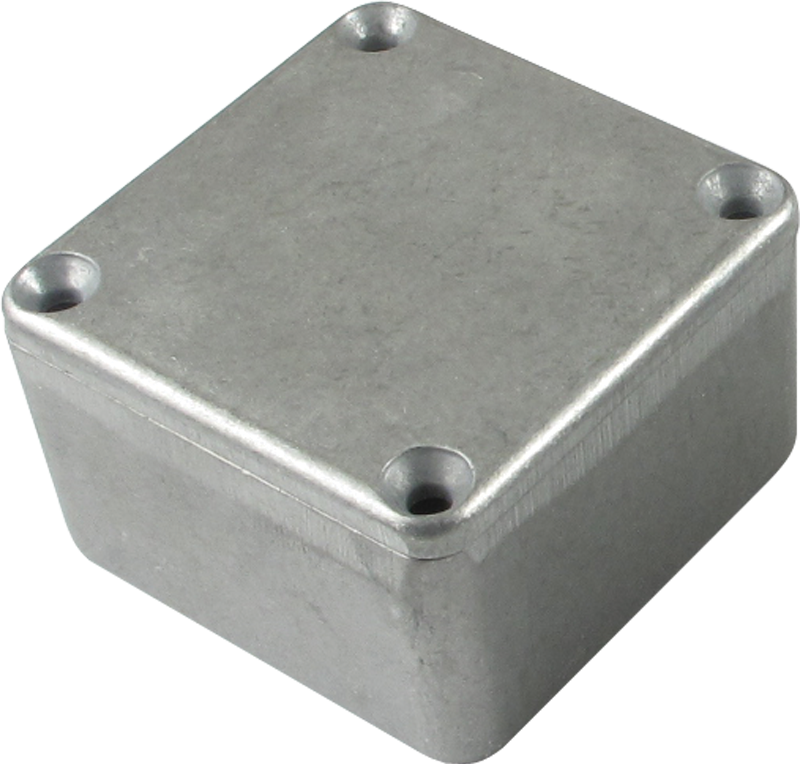 Chassis Box - Hammond, Unpainted Aluminum, 1.99" x 1.99" x 1.06"
Rugged, diecast aluminum alloy (tough yet easy to machine), electronic instrument enclosure. Vibra finished for a smooth surface with no sharp edges. Four 6-32 x ½" machine screws secure lid - into tapped holes. Low side wall draft angle (2 degrees or less) for easy P.C. board mounting. Dimensions shown are exterior dimensions. Add 0.16" to enclosure depth for lid. Depth With Lid 0.16 in. Depth Less Lid 1.06 in. Packaging Dimensions 1.875 in. x 1.875 in. x 1 in. Chassis Box - Hammond, Unpainted Aluminum, 3.64" x 1.52" x 1.06"
Chassis Box - Hammond, Unpainted Aluminum, 7.38" x 4.70" x 3.07"
Chassis Box - Hammond, Unpainted Aluminum, 7.38" x 7.38" x 2.48"
Chassis Box - Hammond, Unpainted Aluminum, 4.77" x 2.6" x 1.39"
Chassis Box - Diecast Aluminum, 4.77" x 2.60" x 1.39"
Chassis Box - Hammond, Unpainted Aluminum, 4.70" x 4.70" x 3.54"